Pacifica Naturopathic Medicine is a health care clinic focused on natural medicine, in the heart of beautiful Pacifica, California. Please note that as of July 1, 2013, we have moved and expanded. Please visit our new site to learn more about our new team, space and services www.thymehealth.com. Naturopathic Medicine is a primary health care system that combines traditional healing wisdom with modern scientific research to offer a holistic, safe and gentle approach to health care. 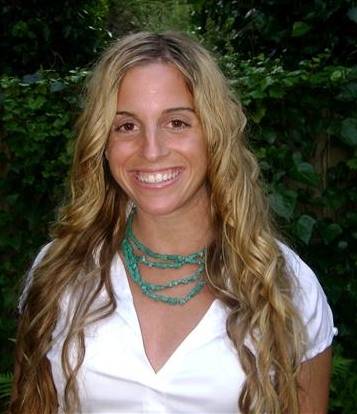 Dr. Sarah Anne Rothman is a State Board Licensed Naturopathic Doctor who is passionate about working with you on your path towards optimal health and wellness. Dr. Sarah is also a Licensed Acupuncturist and incorporates Chinese Medicine and Acupuncture into her practice. At Pacifica Naturopathic Medicine we value an integrated approach to health through preventative medicine, a wide array of therapies and an individualized approach to health. We treat a wide variety of health conditions and offers services for every age, from pediatrics to geriatrics. As primary care practitioners, we believe it is our duty to spend quality time with each patient in order to determine the underlying cause of health imbalances, as opposed to just treating the symptoms. We take the time to properly listen, educate you and tailor each visit according to your needs. We are thrilled to be living and working with you in this wonderful community. We encourage you to take an active role in your health and will do everything we can to help you live healthy happily.